Greetings from Dirty Old Boston! 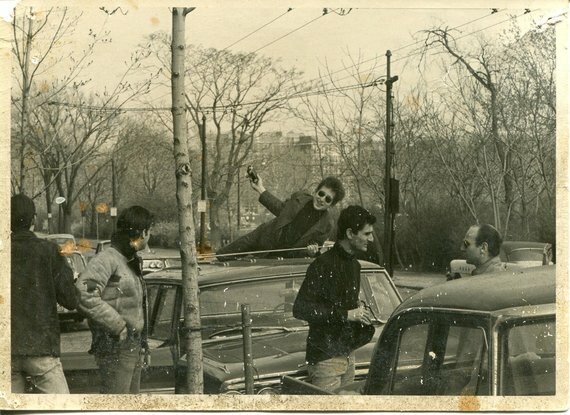 Bob Dylan on a car roof on Mount Auburn St., Cambridge? Who was fortunate enough to get this 1963 shot? It was Betsy Minot Siggins (credit for photo), freshman roommate of Joan Baez at B.U. and a manager of Club 47 in Harvard Square who today has it in her assembled collection called the New England Folk Archives. 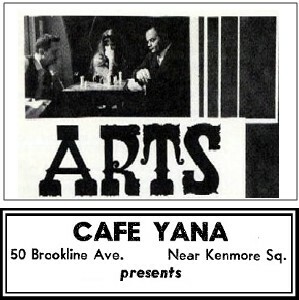 Siggins and Baez were both more into music than academics which prompted Siggins to waitress at the Cafe Yana, a tiny basement club off the B.U. campus on Brookline Ave.
She met and eventually married to Bob Siggins of the Charles River Valley Boys. 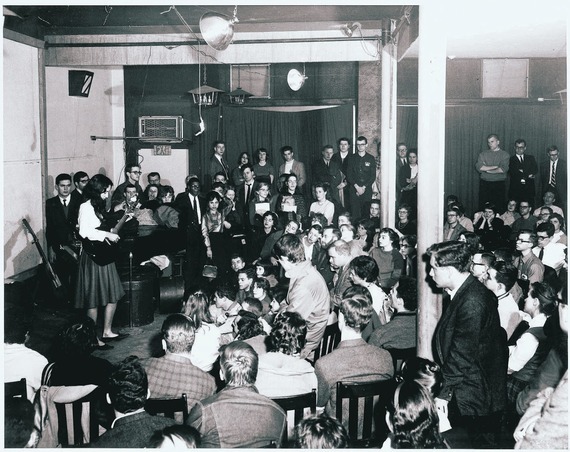 After a year touring overseas with the band, the couple returned to Cambridge where Club 47 became Betsy Siggins’ employer and favorite hang. She was said to have made herself indispensable to the legendary venue. From a blog called Musical Urbanism by Leonard Nevarez. In Jamaica Plain We had Nirvana play a gig in 80s no pics but Nirvana live at green street station can be found on you tube, We also had the pleasure of talking and having a few drinks with Joe Perry on a few occasions at green st station, Which was called Killgarifs before Mr.G.Mellon bought it.